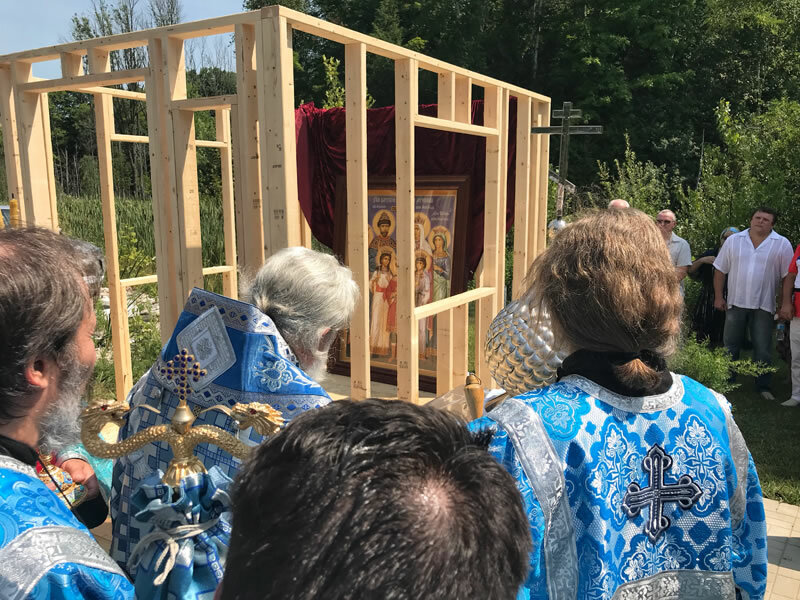 On Sunday, August 5, 2018, the feast day of the Pochaev Icon of the Mother of God, His Eminence Archbishop Gabriel of Montreal and Canada visited the Smolensk Mother of God Icon in the town of Beryozki, near Jackson Point, Ontario. 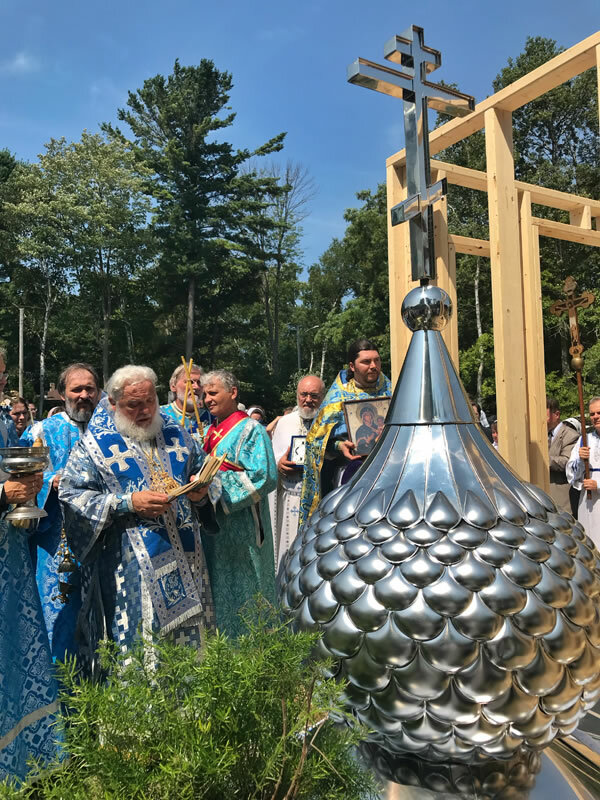 His Eminence led divine services during which a new cupola and cross were consecrated along with an icon to the Royal Passion-Bearers for a new chapel being built dedicated to the saints. 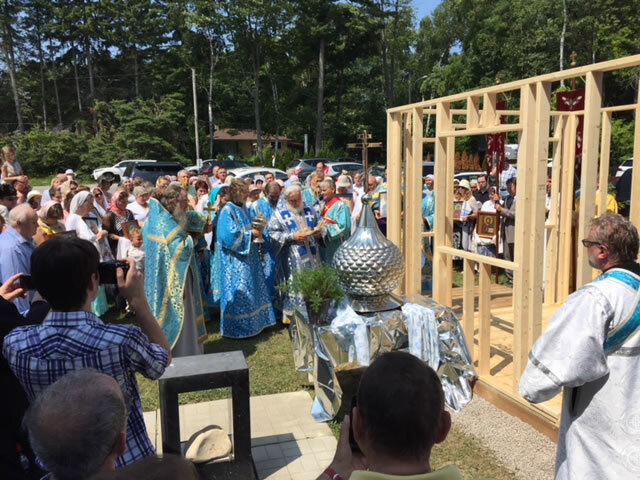 Priest Maxim Abroskin, Rector of the parish, is the initiator of the building project, supported by the parishioners and faithful of greater Toronto, who began raising funds a year ago. The local Monarchists' League is also providing help. 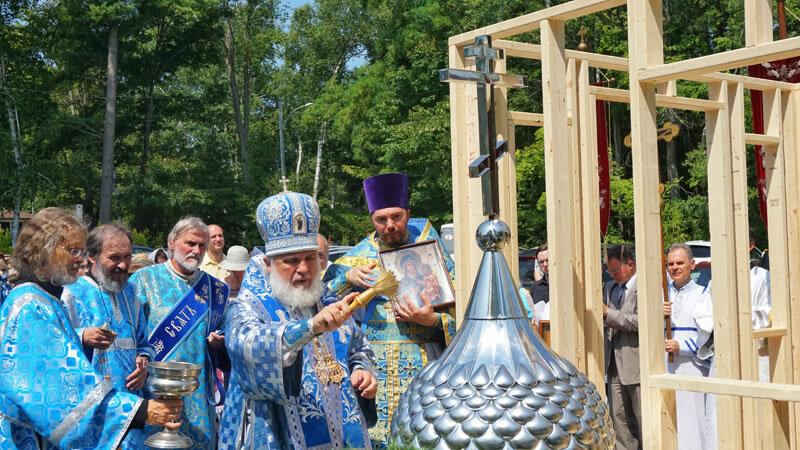 The cornerstone was consecrated in August, 2017, by His Eminence Metropolitan Hilarion of Eastern America and New York, First Hierarch of the Russian Orthodox Church Outside of Russia. 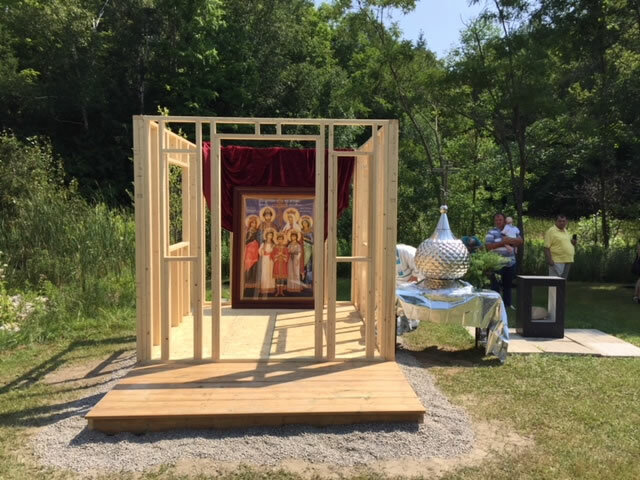 The parishioners are constructing the chapel, and the cupola was obtained from Russia. 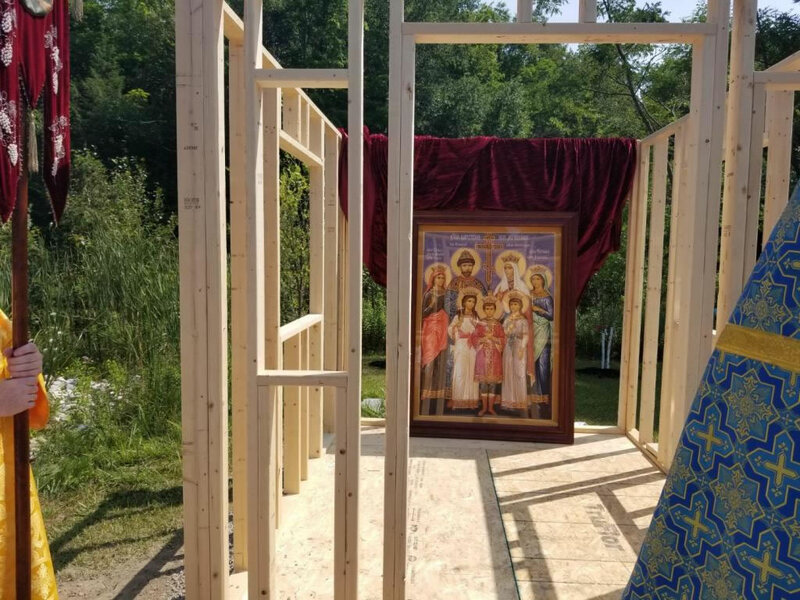 Almost two meters high, an icon was painted in America and a master woodworker, parishioner of the church, prepared the frame. 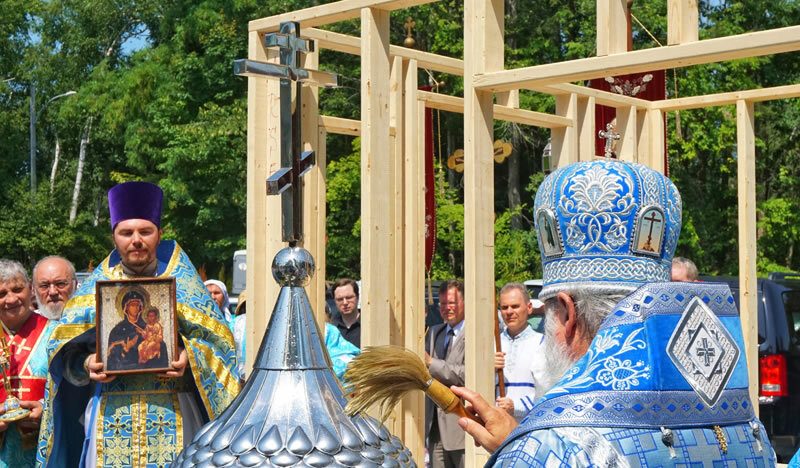 With God's help, the chapel will be open by September of this year.